When God remembers us, favour and promotion become our portion. We might even begin to perform exploits. That is when we should heed the lesson of Saul. Nice piece. I really needed this at this point in time because I am in a situation right now that all I really need to do is ask God for help, but I convince myself that I have some good reasons for not being remorseful. I pray with the inspiration from this, I can finally set the records straight. Hi Solomon! You're not alone in this. As long as we are living in these houses of clay, we are likely to err and we might not always readily admit it. But thank God for His Spirit at work in our lives to convict our hearts and help us pray appropriately to set things right. We are privileged to have a Father who loves us so much. Glory to His name. This write up is essential for spiritual encouragement and motivation. I wish all christian youths will see and practise this. I pray so too, Kelechi! God's grace in all your endeavours in Jesus' name. This is very practical because we might depend on our strength sometimes and pride sets in... We just pray the Holy Spirit to keep us in check and Jesus Christ to keep us from falling. Amen and amen. Bless you, Nedu! An impeccably didactic poem this is, with a wonderful structure to love. Deeply instructive and apt in an age of full-blown and widespread pride and arrogance. May God give us the grace to always avoid those fiends and the harm they bear. Thank you, Ma for this one. Hi! I'm just smacking my head now. I just realized who Sima Essien is. I always thought it was a lady. Sima! Nice name. But it has a feminine ring, don't you think, guy? Thanks for your beautiful comment. You are soooo blessed! There is a saying that pride goes before a fall. People are always quick to pick up ego and just like garment, they clothe themselves with it. We should always endeavour to honour and give thanks to those that deserve them. God is the pioneer of our lives. To Him, we should first accord these respects. Indeed, all thanks, honour and glory should go to Him before we acknowledge anyone else. Thank you, Chioma, and God's abundant blessings on you in Jesus' name. Thanks for this moral lesson. Really, it is a great lesson for our youths. And for the rest of us, my dear. This is a beautiful poem, Edith. And true! Love this line as encouragement for all of us to watch out: "He was caught up in pride, the respect of people." Excited to have you here, Lisa! Thank God you like the poem. May God give us a heart like David who never puffed himself up even after God had lifted him up. Abundant grace on you and your ministry in Jesus' name. So well written, Edith. I was reading about Saul and quite sad by some of the things he did to ruin himself, he lost a good life by impatience..then evil entered him, and you said it so wonderfully, pride was his low point. So much lessons to learn from the poem.. Delighted to hear from you, my lovely friend. May God keep us humble all our days in Jesus' name. Much love and blessings to you and your family, my dear. Amen. Glory to God and many blessings to you according to your heart's desire. Hi Carlie! Sneaky is the word, really. I pray that prayer often myself, esp when people start giving me credit for anything. All we have received is from God, all we have accomplished is by His power and wisdom. All glory rightly belongs to Him. Showers of blessings on you and yours, Carlie, in Jesus' name. This popular quote among us Nigerians come to play here - don't forget the ladder with which you climb to that height. Even, when it comes to God we should be mindful of who He is (The Creator) and avoid choosing mammon to Him. Great poem. Thanks for sharing it. I learnt quite a few things from it. Nice one! The rhyme scheme is dope and i really liked the rhythm. The poem serves as a cautionary tale for all of us. this poem is short and inspirational. I love the quote "pride comes before destruction"
I love it too. Bless you, Tochukwu! What a motivational poem? We, especially the leaders should learn how to be humble of heart at all times. True, Levi. You ate highly blessed in Jesus' name. Yes, it is! Bless you, Chiamaka! Nice one!! We shouldn't be too proud of ourselves when we get to the top. Yes, we should give God all the glory no matter how many or weighty our accomplishments are. Have a blessed week, Chinyere! God chooses whom he wants to serve him,but this should not be taken for granted or for our own selfish interest.we should be mindful of Gods reason for keeping us in what ever position we find ourselves. Very smart and nicely worded. A great poem Edith! Thanks a lot, April! Glory to God! Hope you've been fine. Showers of blessings on you and yours in Jesus' name. this post really touched me, i realized that anyone can become like Saul. we may fall into the same trap as did Saul. yes, it's not easy to continue being humble as he started out but with God's help, i believe i could try. Thought provoking piece. We have to know this. If we recognise he that made all things possible for us, pride in carrying out the task he has assigned us wont be an option. Let us use our positions for his glory rather than boast with it and make a mess of ourselves in his presence. I really did love the rhyme scheme. The poem is actually thought-provoking. It made me reassess my life to know if there is any way I have erred. I also learned that God brings down the proud and exalts the humble. This poem brings a reminder to so many things. One can relate it to the life of students who think they have arrived. A sober reflection is required to reminisce on one's life and amend errors made. Ma this poem is quite interesting. We should not be too proud of what we have or what are. We should always listen and obey the words of the Lord because he is the giver of all things. This is a nice piece. Pride they say goes before a fall, we should learn to subdue pride and give all praise and honour to God at all times. Thanks for sharing this ma. God bless you. A moral and inspirational poem which depicts the need for absolute humility in any position or situation we are in life. We should always abstain from pride because whatever status we find ourselves in was not really attained by us but was made possible by God and He can decide to withdraw us from such state the moment he realises that we have lost that sense of humility as displayed by Saul in the poem. Well done, ma. Wonderful poem, it is true that pride goes before a fall. many of us act like Saul who thought he had everything and forgot the person that made it that way for him, which is not appreciating at all. I think we all have lessons to learn from this poem. God bless you, ma. It is a bad thing to be proud of ourselves because destruction follows. indeed pride goes before a fall, we as humans see ourselves in higher positions most times but is not a right to pride but rather when we humble ourselves,God will lift us up. Pride goes before a fall.This is an inspirational poem which tells us that God giveth and he taketh.So when we are blessed with a gift,we should use it to the glory of God. I love the poem. I learnt that God's gift should not be an excuse to embrace pride. God loves humility. Our position today is God's disposition. Remain blessed. Thank you very much mum. Obviously, pride goes before a fall and humiliation goes before upliftment. God hardly offers good positions to the proud so that it may not be abused. pride leads to the downfall of a man just as seen in the case of saul in the bible, so we should be careful of the way we carry ourselves and ensure that it is void of pride. This poem is a nice one. Pride indeed is a gradual process to the downfall of a man. It might not be known but it is tiny and can go a long way in jeopardizing one's image. Saul as the subject was full of pride. He was full of himself. In all, we should be careful of how we carry ourselves, for the bible says, "God will uplift the humble and bring down the proud". Indeed as they say, pride goes before a fall. One should be careful of the friends we go with as they can either make or mar us. God please remove any form of pride from my life. Make me your instrument so that I can please you. This is a life-changing poem. pride goes before a fall, we tend to forget the author and finisher of our faith during success and forget he lifted us from grass to grace. Wow! This is so inspirational. there is a saying that pride goes before a fall. in serving God, one should be meticulous that is to say, one should abstain from pride and embrace humility and all and sundry would check out..,. Saul was a good man but he became bad and in so doing became a cautionary tale for everyone living not only in our era but in other epochs after this one. God raises a man from dust and makes him king but pride pulls him down. Everyone has a purpose on this earth and Saul's purpose was to rule his people by first of all becoming king, but because of his pride, he started straying and when God tried to make him know his fault, he continued to stray until his destruction.This tells us that everyone Is made for a reason and in order for us to carry out this purpose, we need God by our side. pride sometimes creeps in, even without our notice. so we should always watch out for the signs of pride especially when God blesses us. The poem was beautifully written. An exquisite piece. Telling us about Saul and his rise and fall as an appointed king of Israel. This is necessary for spiritual uplifting and also an admonition to those who are in power and those aspiring to be in power one day. Saul easily forgot that he was just a farmer, before being anointed king. He held on to the throne like it was meant for him and his descendants only. We all need to assess ourselves at sone points and check how we are living our lives. "Let he that thinks he stands, watch lest he falls." this poem came to me as a reminder. it reminded me that no matter how humble I think I have become, that I still need to be on a daily look out for pride because Pride can be correlated to cancer. One never knows when it comes in and a Radiation Therapy session might never kill it. To Saul, he was powerful and God was with him, but he never knew that pride had already eaten deep into his bone marrow. I really loved the poem because it reminded me of my everyday battle with pride, it reminded me to be relentless, to never faint. it reminded me that the only thing that can come between the love God has for me is pride because God hates the boastful but loves the humble. we all need to be on a daily look out for pride or we will end up like king Saul it is our decision to make. thanks to the writer for the warning. So nice. We should always be careful of ourselves not to let pride come into us especially when it affects our relationship with GOD. A NICE POEM! It's a message for everybody- the leader and the led. Everybody should be careful of a haughty spirit. What an instructive and moralizing poem. May God reward you Ma for all your relentless efforts in trying to imbibe knowledge and moral on us. May the Lord never cease to shower you with his unending grace. very nice write-up. this is a poem filled with moralizing thoughts which most people need in our present generation. When God lifts you up, the glory should be His and not ours. We should always remember the point we started from for that will cause us not to be moved at the height at which we' ve come to reach in life. As the proverb, pride goes before a fall, it can happen to anyone who allows it. Saul is an epitome of people with forgetfulness of their etymology, origin or source, when material items are being accumulated. We should therefore be careful and always pray for God's wisdom to handle such situations. Etymology, lol! Bless you, John! Nice story, ma. We should not let pride or mere things overcome us, and we should always learn how to say sorry and mean it at all times. Saul became swollen headed after becoming king. he pandered to the caprice of his people and army generals instead of God who gave him the mandate. when he was corrected, was humble enough but gave excuses which i tag self-righteousness. humility is very important in. life. we should learn how to acknowledge our wrongs and say sorry no matter our status in life. pride prevents us from getting close to God. Pride really goes before destruction. We should ask God for total humility in our life. Remain blessed, ma. : Pride goes before a fall. Ma, can I share something with you? I have seen my first semester results and they were wonderful all to His glory and now I feel too big and lazy to study. I feel that since I did well, I can always do well. Thanks to God that this is coming now. I have come to understand that whatever I am now, it’s His will. I pray for the grace to remain humble. Hi Chiamaka! Praise God you caught that smugness right on time. It would have hurt your performance in the second semester and subsequent years. And I say a big "Amen" to your prayer. The Bible says, "Blessed are those who hunger and thirst after righteousness, for they shall be filled." Praise God! May God enable us to be meek like Christ in Jesus' name that we might be fully blessed for the Bible tells us that "God opposes the proud." God does not look at the outer side of man but the inner part when it comes to choosing whom he want to use on earth.. He is an omnipotent God, he knows us more than we know ourselves. Shalom! This poem is lovely! It is so true that pride takes us no where..we should always remain humble! PRIDE! Something that keeps preventing this human race, from gaining God's ever flowing goodness, love and kindness. May God give us the grace to never see PRIDE as an option, but to embrace humility, so as to gain all the goodness he has in store for us, Amen. Very true words ma. Thank you. Food for thought to all. Pride is destructive and can rub a great person of his destiny. God looks at the state of the heart of a man and he would exalt a humble man. pride is a time bomb embedded in us all, waiting to explode. we either detonate it before it does or bear the consequences. Being friends with the right kind of people has its own benefits as it sets you on track to becoming a good person. As humans we should not become proud or pompous but rather humble ourselves before God and man. This is beautiful, Creatively crafted and quite inspirational! 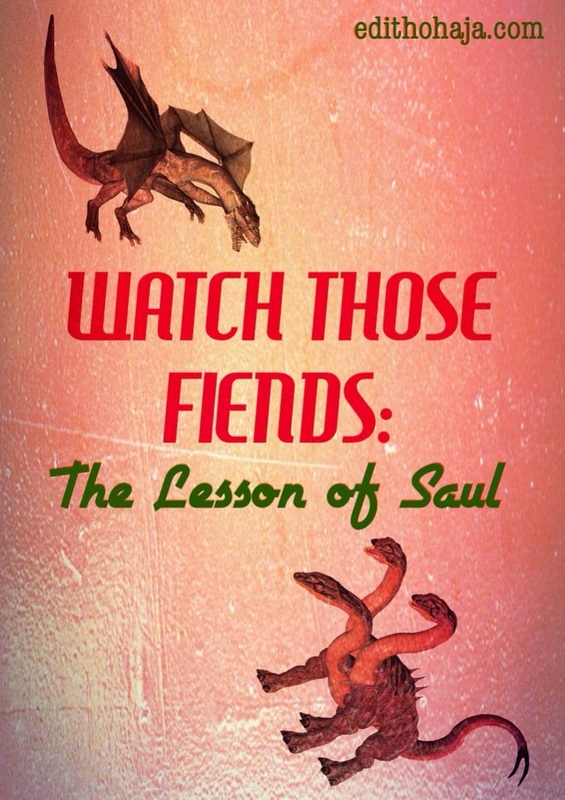 The story of Saul has a lot of lessons and morals it teaches. Where ever position you find your self, always acknowledge God almighty and listen to his voice because only him can choose and destroy. Bless u ma. Nicely written ma'am. A lot of Youths should have access to this. It will help shapwn our moral lives. Wow ma, am blessed the poem is enriched with rhyme...It is good to admit one's fault and seek for apology. may God help us to live a life of humility and also just like David, help us to always fall on our knees and ask for forgiveness each time we err. This is because, kings and mighty men have fallen because of pride and many would still fall, but they that know their God and how to please him shall stand.